Microsoft has launched a new version of Outlook that comes with a new style; keeping all the features of earlier version as it but with more colorful appearance and different customization features. Outlook 2016 is mainly developed for Windows 10, iOS and Android. Outlook 2016 requires an active use of Office 365 subscription, which provides software and services to the users through web. Outlook 2016 has an in built cloud access for creating, opening, editing and saving the files in the cloud right from the desktop and has new search tool "Tell Me". Version 2016 is more advanced and does not coexist with 2013 and has dark theme for monitors. 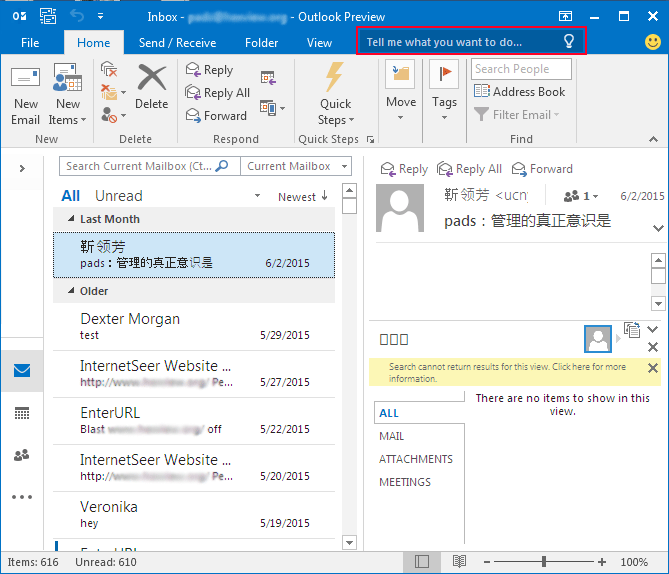 The very first observable change in Outlook 2016 is the color change provided. There is gray, dark gray color with white writings. 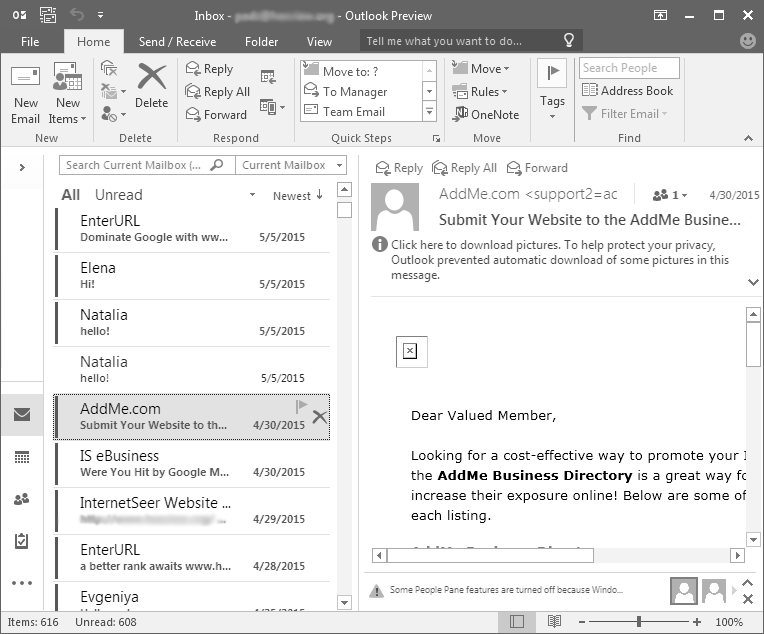 On desktop for Windows 10, they have given Outlook with Office 2016 IT Pro & Developer preview with a connection to the cloud and is having de-cluttered for the inbox. 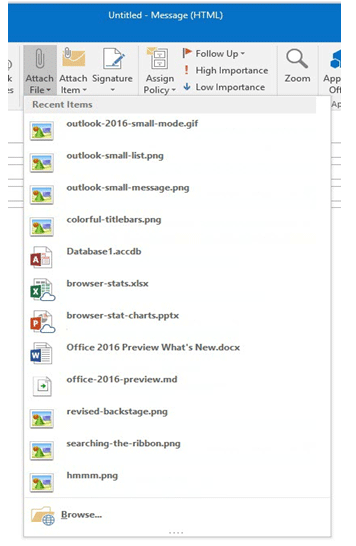 Another variety feature of Outlook 2016 is handling of attachments. Each attachments are like a button with a menu list with options such as; open, preview, delete, save. The clutter feature allows the user to sort emails according to the requirement. The search option "Tell me what you want to do…" helps us in searching. The main feature; emailing is having a bit advancement than before. While attaching any files along with your emails, a list of recently accessed files will be shown and one can select accordingly if it is the file without browsing. Searching performance has improved with new search options. In new version, it has reduced the time of downloading messages, displaying message list, etc. It is provided with MAPI-HTTP protocol, which helps in supporting Exchange connectivity, and ensures no interruption to users during network issues. 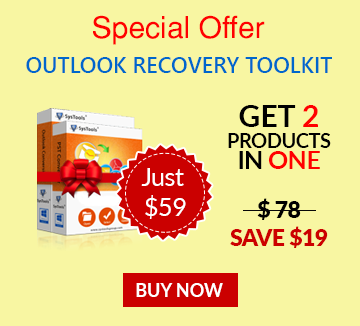 Outlook 2016 provide multi-factor authentication to its users using Active Directory Authentication Library. Network Traffic Management: Outlook 2016 is deployed with BITS (Background Intelligence Transfer Service) for preventing congestion on network. Simple activation management: Admin Portal feature of Office 365 is added to admins, to manage the device activations. Flexibility in update management: Outlook provides this feature to the admin to receive the updates and bug fixes. Outlook 2016 supports only small screen portrait, if Outlook is of 650 pixels wide then, folder will be collapsed. Microsoft is merging Office 365 along with 2016 version Outlook thus, making it more different. For the Exchange users, 2016 version support only the auto account setup of Exchange account, i.e. no manual creation is made possible. Other feature the user will find interesting in 2016 version is Facebook contact facility, called Facebook Feeds. However, availability is only for those who have the access to Office 365 Exchange mailbox, which support Facebook contacts. Although Microsoft has come with more features, it does not make any complexity; new version is simple and good looking.